I always knew there would come a day when WildStar closed for good, but I never expected it to be so soon. Bursting onto PCs in 2014, the brand new MMO brought attitude and charm in equal measure, quickly developing a cult following. Alas, the numbers were never great enough to sustain the project, leading to the game’s permanent shutdown some four and a half years later. This isn’t a post-mortem on what went wrong. Instead, I wanted to reflect on how WildStar affected my life, first as an MMO player and then later as a blogger, critic, columnist and streamer. I wanted to talk about the amazing people I’ve met, the friendships I’ve formed, and the lasting impact they’ve had on my life. Then there’s the communities I’ve been fortunate to be a part of, all as part of this one game. It all began with an innocent enough blog post that talked about WildStar’s reveal at Gamescom 2011. There was no game to play back then, but the studio was collecting ideas and building a community at that early stage – even designing a world boss with audience participation. 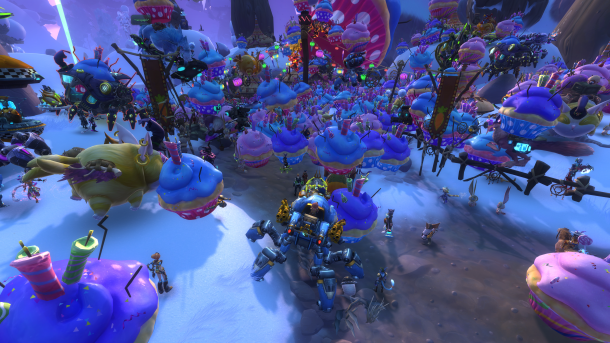 It continued with WildStar Wendnesdays, an initiative spearheaded by then-community manager Troy Hewitt to build an ongoing dialogue with the early internet fandom. An early topic on griefing spawned an lengthly response from me, which the studio picked up on. From there, I got noticed by the folks over at ZAM and asked if I’d be interested in writing for their early fansite WildStar Source. When the spinoff was eventually absorbed into ZAM proper, I followed and landed my first paid writing gig as a columnist for the MMO megasite. There, I’d end up covering a multitude of games, but my core responsibility would still be WildStar. Incidentally, some of the people I worked with back then are still in the industry, either in community, PR, or even lore and story. 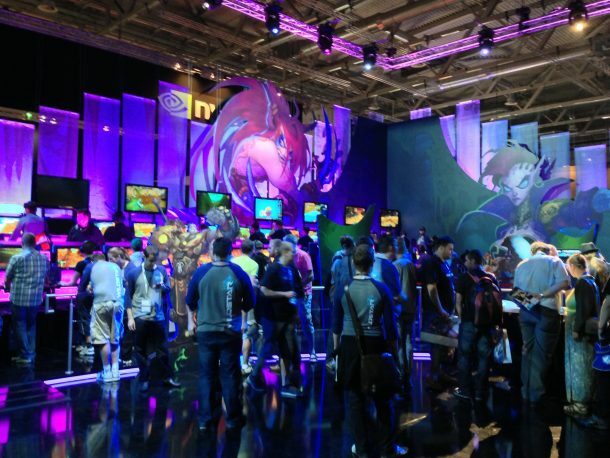 Throughout 2012 I got my first taste of WildStar, going hands-on at a fan Arkship event in London and being among the first to play the game. I also got an invite to return a few months later as press, being among the first to cover the game in a hands-on manner. I met many of those early fans along with the developers Carbine flew out for the event. As it turned out, I’d get to know many more over the years. 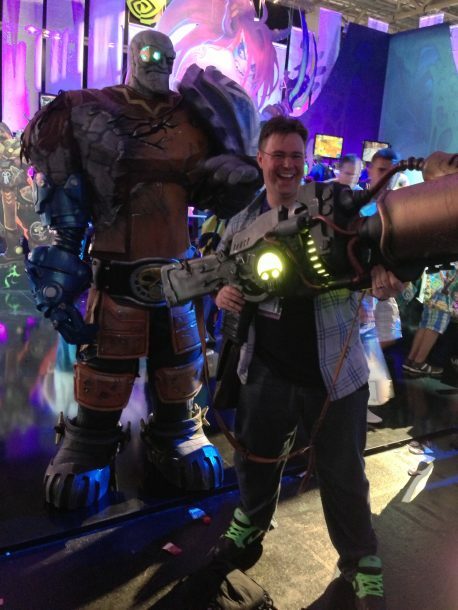 Fast-forward to 2013 and WildStar was back at Gamescom with a booth, a playable game, and a Granok. The team was working flat-out to get everything ready for launch, desperately pushing for release. I got to meet more of the developers, write more about how the game was shaping up, and meet more of the community. 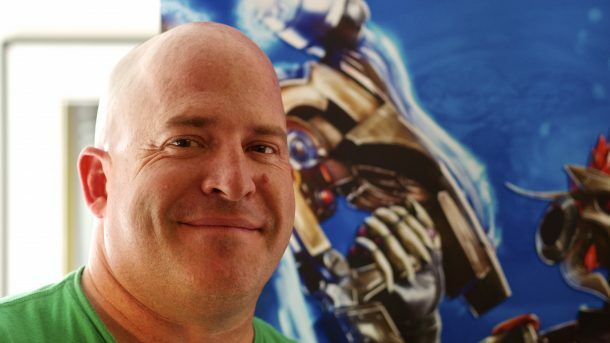 After a break from writing over winter, I took up a columnist role at MMORPG.com, covering WildStar on the run up to launch in June 2014. It was a busy time with plenty of interviews, lots of analysis, and some heavy beta coverage as content was polished up. I’d still produce the occasional column on WildStar when there was news to be shared. Overall, I wrote a ton of content on the game. But if anything, it’s the people I met and got a chance to know that I’ll treasure the most from WildStar. On the Carbine side, there’s Jeremy Gaffney, Mike Donatelli, Chad Moore, Jen Ortiz, Troy Hewitt, David Bass, Mark Hulmes, Sean Clanton, Jon Wiesman, Stephan Frost and so many others that I met in person. There’re also countless amazing staffers that I got to know over the Internet and had many enjoyable interactions with, either through long-distance interviews or in conversations on Twitter. Anecdotally, for Shade’s Eve 2015, I ended up sending 120 yellow and green cupcakes to the studio just as a way of saying thanks. Over on the community side, there are so many people that I’ve had the good fortune to meet and become good friends with. From community sites like Arawulf’s WildStar Fans or Sylvan’s WildStar Core, to community members like Anhrez, Olivar, Pseudonimh and many more. The friendships – both real and virtual – are incredibly precious. And all were made possible because of WildStar. Yes, WildStar is gone. But those friendships and bonds will continue to new games, and help forge new communities. Those people who worked on WildStar will go on to do great things, taking a little bit of inspiration and sprinkling it into whatever they do next. A game as big as this doesn’t vanish without leaving a mark, and we’ll continue to see that crop up elsewhere. For everyone who I met on this journey, at whatever point, thank you. I’m massively grateful for this to have been a part of my life for the best part of a decade, including all the people it’s brought my way. Although I’ll mourn the loss of WildStar, I know that the spirit it created will endure. 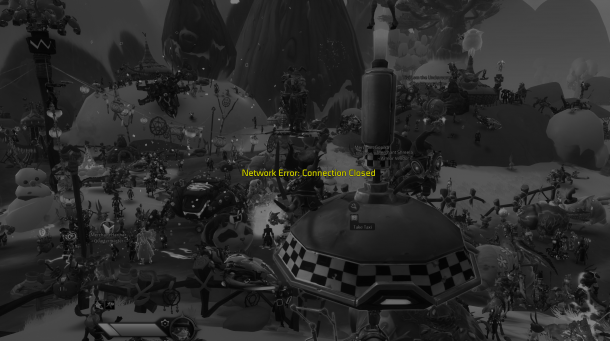 This entry was posted on Thursday, November 29th, 2018 at 5:50 pm	and is filed under WildStar. You can follow any responses to this entry through the RSS 2.0 feed. Both comments and pings are currently closed.